Read 2 times. Last read January 2, 2018 to January 6, 2018. N.B. The omnibus ebook edition of the first five books is available at an absolute steal of a price. 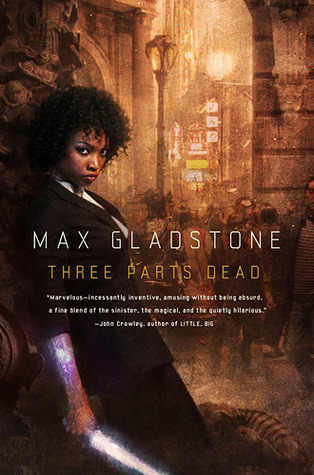 I have come to appreciate Max Gladstone's amazing world building and character development even more, as I read through the Craft Sequence. I'm really not sure I can think of another male writer that writes women characters as wonderfully as Gladstone does. His books pass the Bechdel test with flying colors. Sign into Goodreads to see if any of your friends have read Three Parts Dead.